Tightly packed flower-heads of scented, bell-shaped blooms appear in March and April above the glossy, strap-like, dark green leaves. 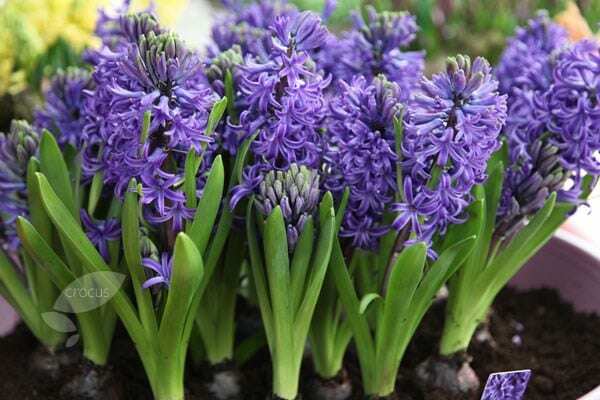 These beautiful hyacinths make a fabulously fragrant patio display with spring-flowering pansies and bulbs. Alternatively plant them into your borders to create a colourful spring bedding display. All bulbs flowered. Beautiful scent - lasted well.